The Boston DGB-565 is a sturdy gig bag for intensive and daily use. 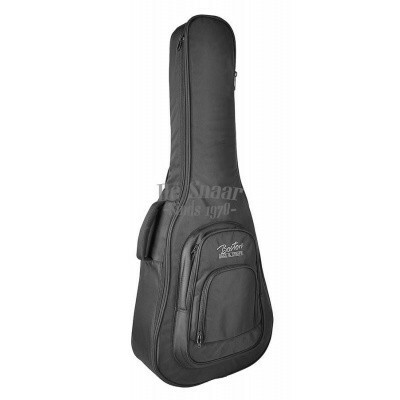 The 25mm foam padding provides ample protection for your dreadnought guitar. The DGB-565 is equipped with robust no. 10 zippers and thick padded ruffle straps that, if you only use the comfortably padded handle, can be stored in the back. 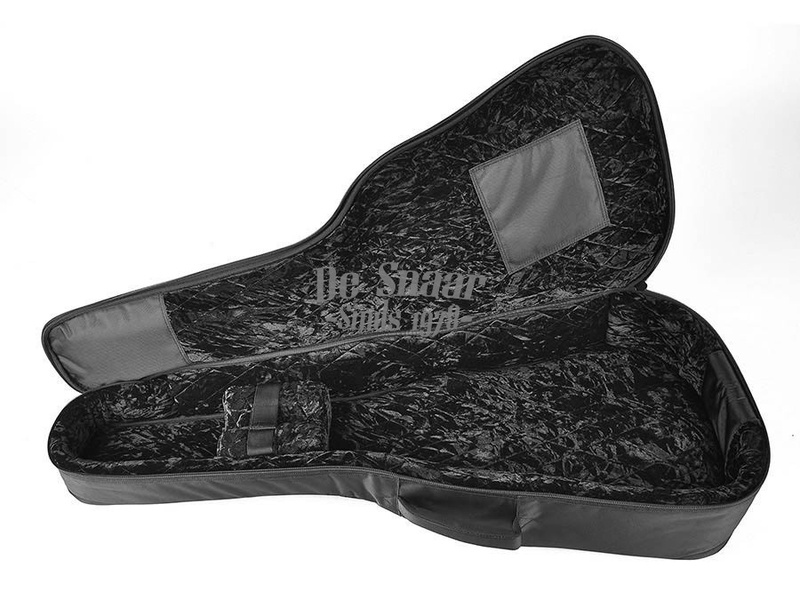 Your guitar sits safely with the neck in a padded neck rest with velcro safety clasp. To finish it off completely, the DGB-565 has an A4 accessory compartment with separate compartment for small accessories.